All the way back in June of this year whispers were heard of Globalfoundries buying IBM’s fabs and related intellectual property. AMD’s former manufacturing arm which has been spun off back in 2008 had been negotiating a deal with IBM for the past 4 months without reaching an agreement until yesterday. IBM offered Globalfoundries $1 billion dollars to take its manufacturing plants. Globalfoundries wanted $2B to offset the operational loses of taking IBM’s facilities which it regarded as being outdated. 22nm Silicon-on-insulator is IBM’s most advanced manufacturing processes in mass production to date. The process was used to manufacture the company’s cutting edge Power8 mainframe server chips. 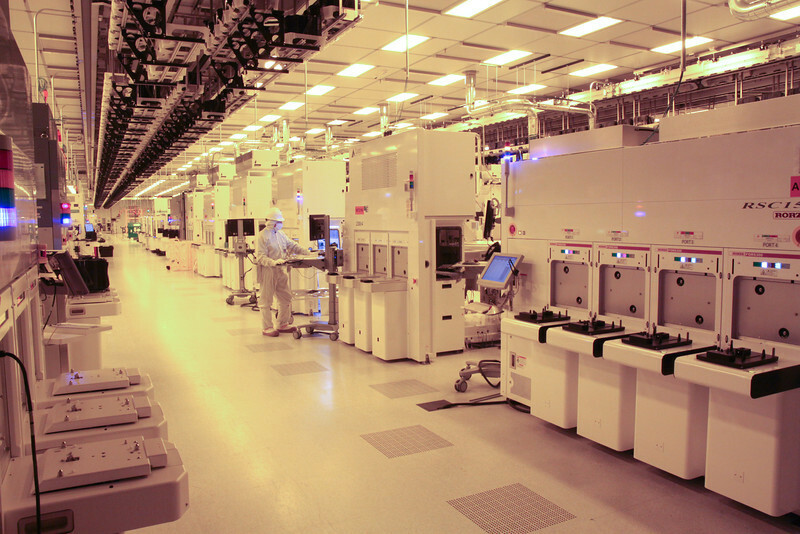 But when you’re on the cutting edge like Globalfoundries going to 22nm is like taking a step backwards. After all thanks to a licensing deal Globalfoundries struck with Samsung. The company is on track to begin 14nm mass production early next year, with risk production already on-going. According to Bloomberg, terms of the deal include a $1.5B payment from IBM to Globalfoundries in cash over the next three years. Globalfoundries gets IBM’s manufacturing facilities more specifically IBM’s manufacturing operations in East Fishkill, New York and Essex Junction, Vermont. Globalfoundries also gains the engineering talent and intellectual property associated with that. Amounting to over one thousand patents. IBM stands to gain $200 million in assets from Globalfoundries. In addition GF will become IBM’s exclusive foundry source for 22nm, 14nm and 10nm IBM server chips for the next 10 years. IBM will reportedly pay “market prices” for the chips. So far this sounds like a terrible deal for IBM but it actually is not. The company’s manufacturing arm has suffered loses of over $1.4 billion over the past two years. IBM has also failed to attract a buyer to take the manufacturing business off its hands for almost two years. The deal relieves IBM from the overwhelming manufacturing costs allowing it to join the rank of fab-less design houses such as AMD, Nvidia, Qualcomm and Apple among others. Globalfoundries is set to gain a huge number of valuable patents and engineering talent from IBM in addition to expanded manufacturing capacity. The company had a slow start ever since its spin off in 2009 from AMD. But with financial backing from the government of Abu Dhabi Globalfoundries has been growing to become a powerful competitor to giants such as TSMC and Intel. AMD being the largest client for Globalfoundries will see many benefits from this deal. The engineering talent and IP from IBM will help Globalfoundries transition to more advanced process nodes more smoothly and quickly. We could also see a comeback of Silicon-On-Insulator technology in GloFo’s fabs. Silicon-On-Insulator is a technology who’s development was spearheaded by IBM and AMD. SOI offered many benefits that included higher clock speeds and lower power than traditional bulk processes. However it also induced higher manufacturing costs and was more difficult to integrate into smaller processes. Globalfoundries failed to deliver the technology on 28nm in time which led to it getting abandoned. All in all everyone stands to gain something from this deal. IBM finally off loads its manufacturing business. Globafoundries gains greater capacity and IBM’s cutting edge technology and AMD gets all the benefits associated with that.